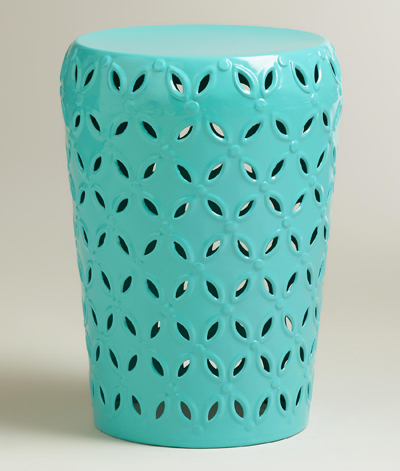 Refresh your outdoor seating arrangement with this Baltic Blue Lili Punched Drum Stool. Both decorative and functional, this stool is embellished with a unique punched pattern around the sides for added appeal. $59.99. Buy here. 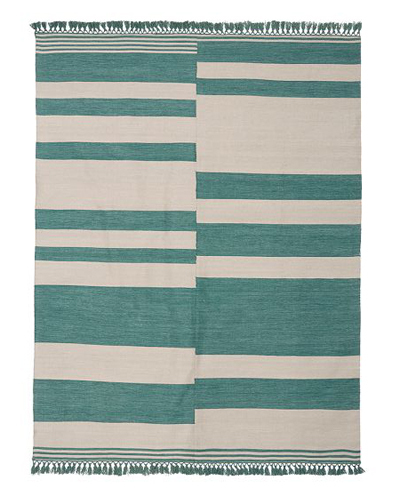 The Bonnie Stripe Indoor/Outdoor Rug features bold, staggered stripes that give a modern twist to the classic pattern. $49-$349 Sale $39-$279. Buy here. 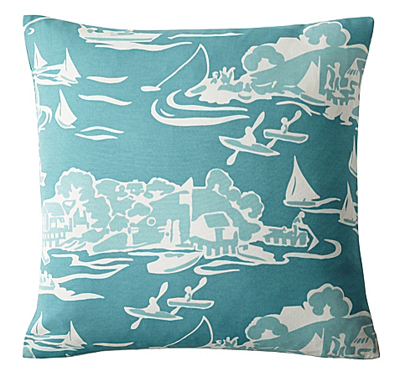 The turquoise Skylake Toile Outdoor Pillow is Serena & Lily’s take on classic toile, twisted a few degrees for that fun factor. They left the countryside to go lakeside, went bold with scale, and chose a beautiful turquoise and white palette along the way. The result? A look that’s fresh and familiar, all at the same time. 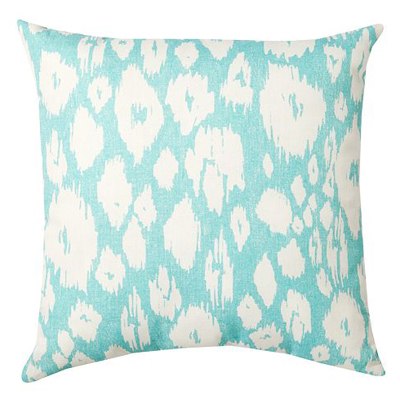 Printed on their fabulous all-weather fabric, this pillow withstands the elements with style. $74. Buy here. 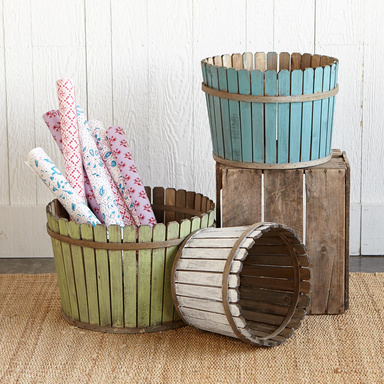 Give a plant or tree a home, or use these painted and distressed Picket Fence Baskets for sturdy storage indoors. Set of 3. $148. Buy here.